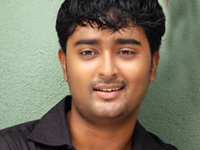 Tamil actor Prasanna who become famous with movies like ' Achamundu Achamundu', Azhagiya theeye' Sadhu mirandaal' and ' Anjaathe' will be shortly seen in Malayalam. The actor was earlier planning to make a debut in Mollywood with the movie 'Lucky Jockers'. But in the last minute the actor has backed out from the movie leaving the lead role to Ajmal. Now Prasanna will debut in Malayalam playing an important role with Janapriyanayakan Dileep in the new movie directed by Akku Akbar. Kavya Madhavan will be the heroine of this yet to be titled movie which is currently on sets.